Understanding how cloud services can improve your business is the first step to utilizing their benefits in combination with traditional tools, platforms, and products. 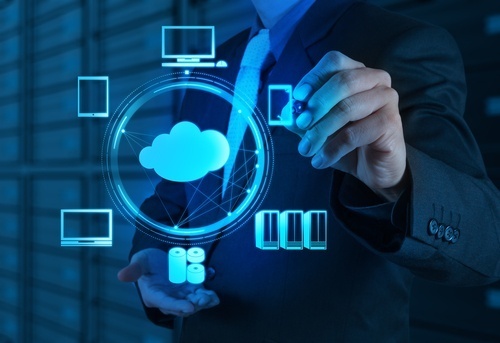 Cloud services have the ability to save you money, increase productivity, and reduce downtime. Reputable companies like D1 Technologies provide cloud services that optimize every dollar you spend on information technology (IT) services. When you have on-site servers, your IT staff is continuously tracking and dealing with issues surrounding stability, infrastructure, updates, security, and more. With cloud-based services that can fulfill many of those on-site needs, your IT team can spend more time on in-house projects that will help your business grow versus being constantly engaged in maintenance tasks. It’s a common misconception that cloud services are designed specifically for larger businesses and customers with massive demands. Anyone who operates a small or medium-sized business can benefit from cloud services, however, as the cloud offers the unique concept of allowing businesses to customize their service levels to their needs. Choosing where to focus your time, energy, and money in the cloud gives you more bang for your buck and fewer unnecessary features. Cloud services will save you, your employees, and your business both time and money. By optimizing services, taking care of menial maintenance, and automating other tasks, you and your staff can be more efficient in maintaining processes and applications. In turn, you will have more time to focus on growing your business. The cloud is the solution you need to take the next step forward. For more information about cloud services and getting a boost on that forward step, contact D1 Technologies today.